Chelsea could attempt to swoop for Paris Saint Germain midfielder Marco Verratti. The Italian has been seen as a potential replacement for Cesc Fabregas, who has been in and out of the team under Antonio Conte. John Obi Mikel is also set to be on his way out of the club, having not played a single minute under Conte this season, and an extension to his current contract that expires in June looking highly unlikely. Just a few weeks ago, Verratti insisted that he would not be leaving the Parisian outfit until he had won the Champions League with them. However, following a disappointing start to the season under Unai Emery, Verratti’s stance has changed, and he could be set to join Chelsea in the summer. The 24-year-old has worked with Blues boss Antonio Conte before, while the 47-year-old was in charge of the Italian national side. Manchester United and Bayern Munich are also said to be interested in the central midfielder, but Chelsea look the most likeliest to land him. 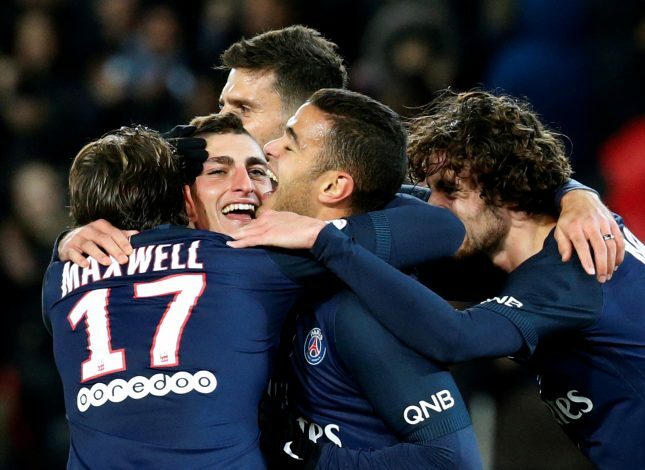 Verratti committed himself to PSG in the summer when he signed a five-year contract extension, which will keep him at the club till at least 2021. However, his agent, Donato Di Campli, has admitted that the midfielder could still leave the club, irrespective of when and for how long he has signed. “The contracts are made and unmade in three minutes,” Di Campli said. Bayern Munich boss Carlo Ancelotti was hesitant when asked about Verratti, saying the club have not planned for the future yet, and that the Bavarians could find it difficult to sign him. “Juve or Bayern for Verratti? I wouldn’t know,” Ancelotti stated. “Agents are always playing little games to raise the prices.